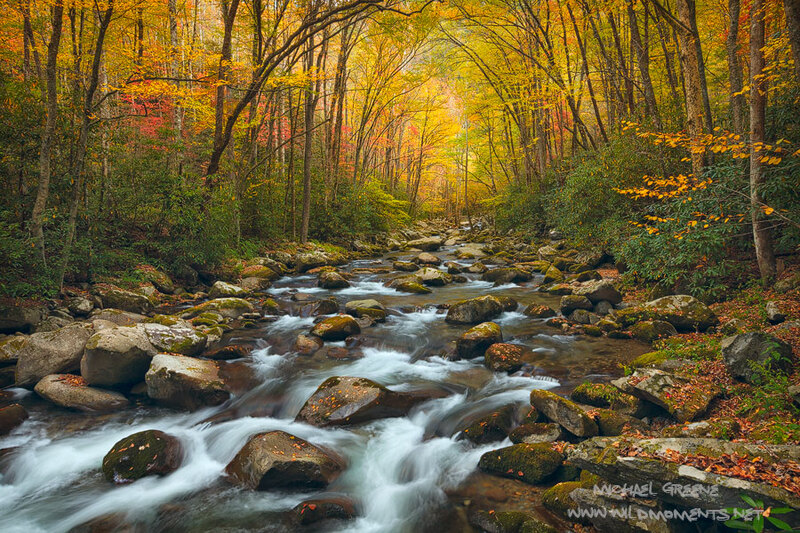 Probably my favorite image from my autumn trip to the Great Smoky Mountains captured near the NC - TN border. The Smoky Mountains are part of the Blue Ridge Mountains and Appalachian Mountain chain. Photo © copyright by Michael Greene.